Jenny and Johnny Connor have narrowly avoided prison, after Liz McDonald chose NOT to testify against them in court for the hit and run that could have killed her last Christmas. Like, is she ever coming back, and why on EARTH did she leave in a plane that looked like it was pre-dinosaurs? During Wednesday night's double bill of the ITV soap (6 February), the fate of the Rovers landlord and lady lay firmly in Liz's hands as they headed to court to face judgement for a drunk Jenny mowing down Liz in December. After an ear bashing from Rita about Jenny not being able to cope with jail, and the fact that Liz HAD cheated with Johnny after all, added to Gemma Winter's pleas, Liz did a u-turn and failed to show up in court. As the judge decided it was not fair to continue proceedings without the star witness, the Connors were stunned as the case was dropped and they were free to return to the cobbles. Liz has not only travelled to the airport but she's travelled back in time 30 years! Where is that plane from?! The 80s? Read more: Coronation Street SPOILER: Gemma and Chesney over already? But not as shocked as Corrie fans were! 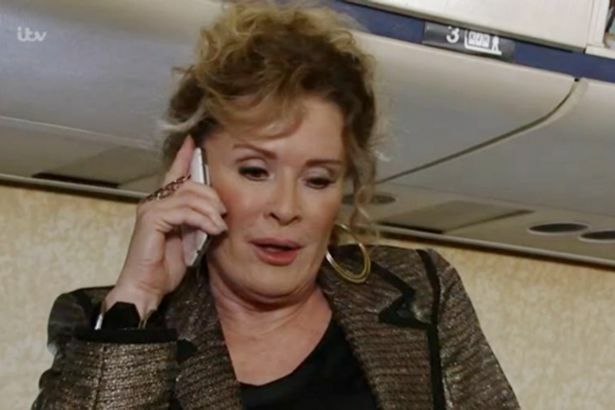 With everyone wondering where Liz had gone, the mystery was eventually solved when she phoned Steve from Manchester airport. 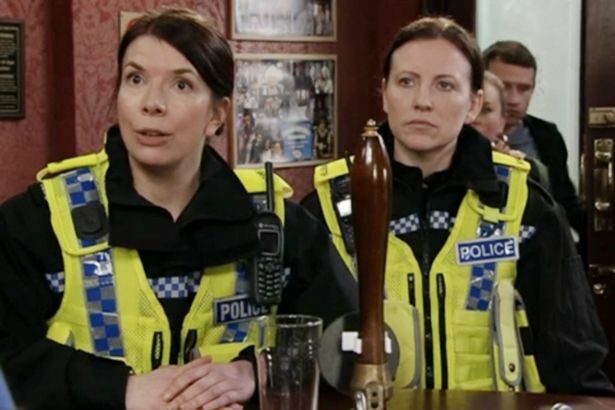 Revealing that Rita's words had struck a chord, Liz had instead fled Weatherfield without saying goodbye, making her escape in the back of the Underworld van driven by Gemma's brother Paul. She then booked herself on a flight to Spain for a last-minute holiday instead of sending the Connors to jail. She told her son: "I couldn't do it. I couldn't could let Johnny and Jenny get sent down. Rita had a word. She made me see what a mess this all is. I couldn't see any other way to end it." As Steve lied and said Liz had got her dates mixed up, soap fans flocked to Twitter to lament the loss of Liz. And many viewers couldn't believe the shocking state of the plane Liz was spotted in, claiming it would struggle to lift off the ground and questioned whether Liz was in a "time warp"!? Has anyone from the set design team at #Corrie ever actually been on a plane? One said: "Liz has not only travelled to the airport but she's travelled back in time 30 years! Where is that plane from?! The 80s?" Another said: "Has anyone from the set design team at #Corrie ever actually been on a plane?" A third added: "I AM NOT CONVINCED THAT THE PLANE IS CAPABLE OF ACTUAL FLIGHT #corrie." Others weren't buying into the plot twist at all, with one typing: "So Liz gets run over, ends up in hospital unconscious, receives hate mail, gets taken for a prostitute, and doesn't turn up in court!!! Doesn't make sense. What are you thinking? #Corrie." Will Liz ever return to Weatherfield to face the Connors? And will Jenny ever forgive Liz and call a truce? Will you miss Liz? Leave us a comment on our Facebook page @EntertainmentDailyFix and let us know what you think!